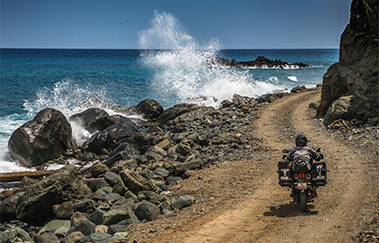 DAKAR panniers are built to survive in the roughest conditions. 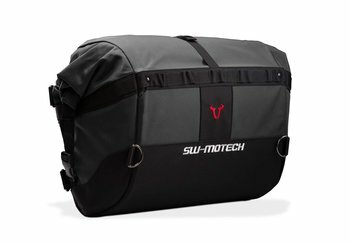 The 2-layer system of the bag combines a tough exterior outer layer with a waterproof inner layer to create a super-durable dry bag. 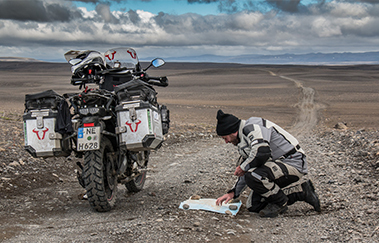 DAKAR are available as bike-specific version with panniers to prevent side-to-side movement or as universal version with straps to mount on most current luggage carrier systems. 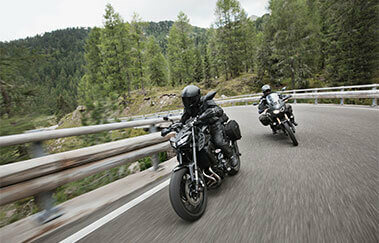 These durable saddlebags are the perfect low weight alternative to motorcycle hard cases. 2x 32 l. Ballistic Nylon. Grey/Black. 2x 32 l. Ballistic Nylon. Grey/Black. Incl. spacer bar. 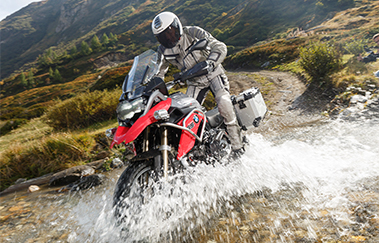 DAKAR saddlebag set KTM 1050 Adventure (14-19), KTM Adv. DAKAR saddlebag set Honda CRF 1000 L Africa Twin (15-17). DAKAR saddlebag set KTM 1050/1090/1190/1290 Adventure.